I’m Neil and family means everything to me. 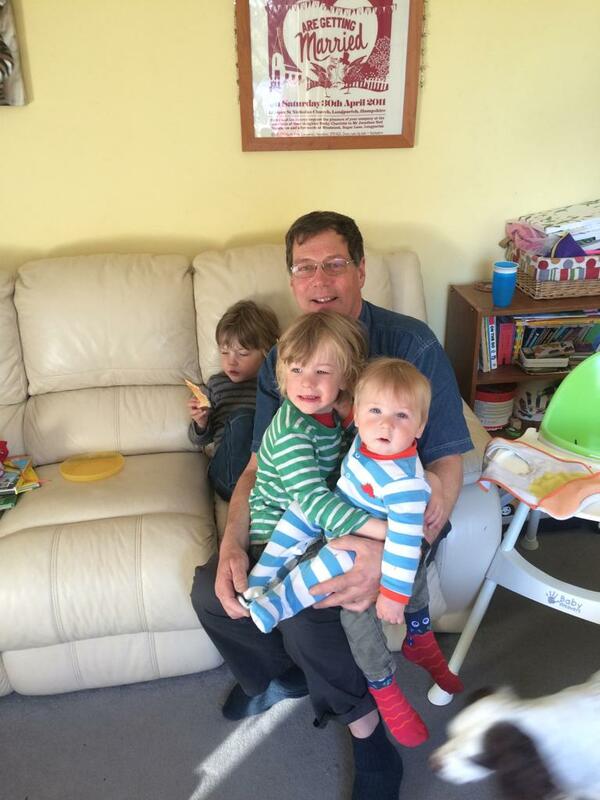 I have seven grandchildren and I can’t wait to see them grow up and spend more Christmas’ with them, my favourite time of the year to be with everyone. I was terrified this future could be taken away from me when I was diagnosed with bowel cancer in November 2016. Like me nearly everyone diagnosed with bowel cancer undergoes surgery; it’s the most common form of treatment for the disease. With nearly 42,000 people in the UK being told they have bowel cancer each year, that’s a huge number of people needing surgery every day across the country. Surgery is critical when treating bowel cancer and has saved my life, but I was really surprised to learn that investment in surgical research is terribly low. It turns out only a small number of clinical trials in the UK are focused on surgery. This is particularly shocking because improvements in surgery are only possible through clinical trials taking research breakthroughs from the lab to the operating theatre in your local hospital. Investing in surgical research will develop more effective and personalised lifesaving treatments, standardise surgery and care for patients regardless of where they live and minimise side effects for everyone who has an operation. That’s why I was thrilled to hear Bowel Cancer UK is leading the way, and in partnership with the Royal College of Surgeons of England, has made investment into surgical research an absolute priority. To date, they’ve appointed the UK’s first ever Bowel Cancer UK Surgical Research Chair and three Surgical Research Fellows. This is fantastic because these important national roles will help drive forward surgical clinical trial research for bowel cancer right now, whilst also creating the surgical leaders of tomorrow. In partnership with the Royal College of Surgeons of Edinburgh, they’ve also announced a new fundraising appeal to establish a Surgical Research Chair in Scotland too. Read more about their research projects here. However, this is only the beginning. If we are going to increase the number of people surviving bowel cancer, there is so much more investment urgently needed in surgical research to help people like me get the precious time they may not have had with their family. Bowel cancer remains the UK’s second biggest cancer killer but the charity is determined to change that. If diagnosed early, bowel cancer is treatable and curable, however without the amazing advances in surgery to date, there are thousands of people, like me, who would not be alive today. With your help we can save more lives. Please donate this Christmas and make a vital contribution to support surgical research as well as Bowel Cancer UK’s other vital work to help stop people dying of bowel cancer. You can donate and dedicate a star to someone special on Bowel Cancer UK’s online tree here. Thank you so much for supporting Bowel Cancer UK - a charity that truly has bowel cancer patients at the heart of everything they do and who are determined to create a future where nobody dies of the disease.